Hindus must get together with dissolving all so called cast and politics otherwise they will be like Pak and Bangladesh, Iran, Afghanistan. “Nothing wrong in ‘ghar wapsi, what is wrong in coming back?” : Jain Muni Tarun Sagar. A constitutional amendment making India a “Hindu rashtra” would be a good solution to protect the Hindus: Dr. Praveen Togadia. Muslims and Christians in the country should admit that their ancestors were Hindus: Dr. Subramanian Swamy. 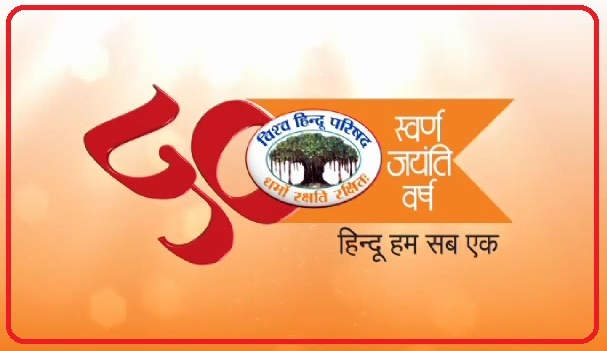 HENB | Indraprasth (Delhi) | 1 March 2015:: On the occasion of its Golden Jubilee celebrations, Vishwa Hindu Parishad, organised Virat Hindu Sammelan – Mega Hindu Gathering on Sunday, March 01, 2015, at Jawaharlal Nehru Stadium New Delhi. The Vishwa Hindu Parishad today waded into the controversy relating to religious conversions, saying there is nothing wrong in its ‘ghar wapsi’ programme and called for a law to check “forced” conversions. The VHP said Parliament should pass a law on forced religious conversions and maintained that while conversions were wrong, there is nothing wrong in ‘ghar wapsi’ or reconversion back to Hinduism. This entry was posted on March 2, 2015 by Sanatan Dharm and Hinduism in HINDUISM SCIENCE.